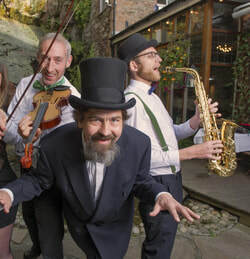 Quango Rhineheart Trio, a jazz trio from Cork, play a laid back fusion of gipsy jazz and easy-listening, vocal jazz. Our live jazz music is perfect for creating the right atmosphere at wedding dinners, champagne receptions or in restaurants and cafés. Available for private events, dinners, wedding receptions, restaurants and can provide up to two hours of music for a very reasonable price. We offer a free face-to-face consultation before any booking. Feel welcome to ask us when we are next playing a gig, we mostly play in Cork city.